Prepare yourself to unleash your imagination as you are going to meet the most outstanding landmarks in Egypt through our 4 days Cairo and Alexandria tour package starting from Cairo where you will visit Giza Pyramids complex, the great Sphinx, then head to Alexandria to discover the Cetidal of Quitbay, Alexandria Library, the Catacombs, and more accompanied by Egyptologist tour guide. Book your vacation now! After arriving at Cairo, our representative will gladly help you in finishing all the paper transactions and check in at a luxury 5* hotel. 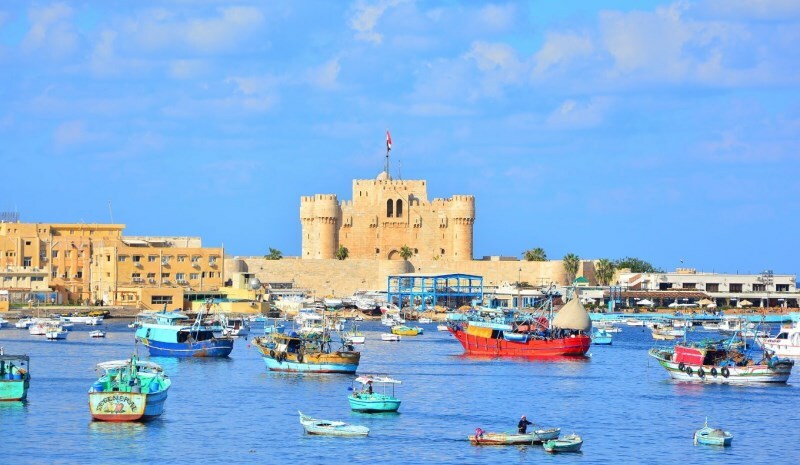 While staying in your hotel you can enjoy your delicious meal while enjoying the enchanting scenery from your window and prepare to start your 4 days Cairo and Alexandria tour package by enjoying a dinner cruise, then back to your hotel. Second Day: Visiting Cairo Attractions - Back to hotel. 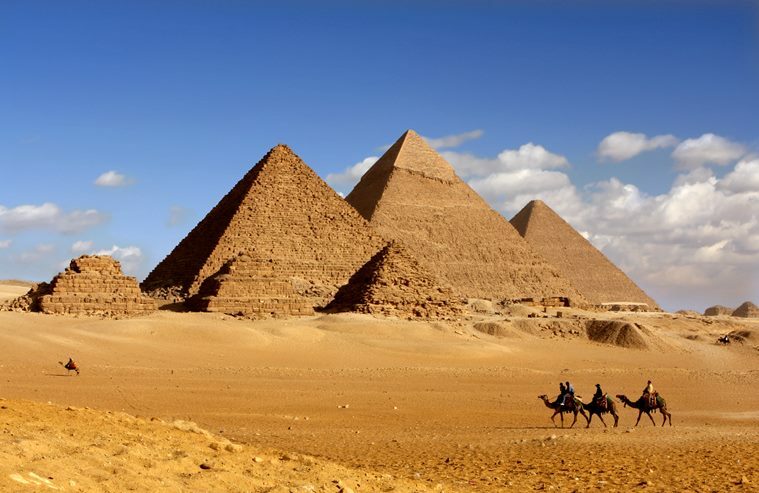 Giza Pyramids is located some eight kilometers inland into the desert from the old town of Giza on The Nile, some 25 kilometers southwest of Cairo city center. There is the unique "Great Pyramid of Khufu", two other main Pyramids that were built for the kings Khafre and Menkaure. Khufu Pyramid is the largest building ever erected on the planet that was built for King Khufu and it’s considered to be one of the Seven Wonders of the World. 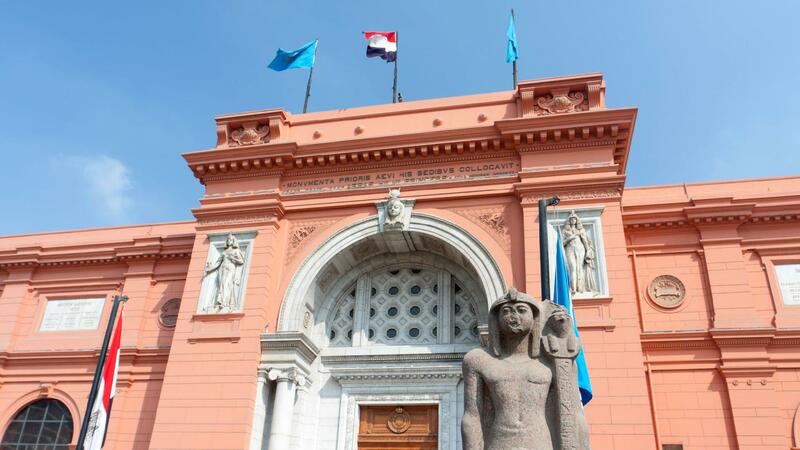 The Museum considers being one of Cairo top attractions, it contains a lot of ancient Egyptian artifacts, our Egyptologist tour guide will explain to you some historical facts and information about the museum, also visit our article of the Egyptian Museum to read more about it. At the end of the day transfer back to your hotel in Cairo and overnight. 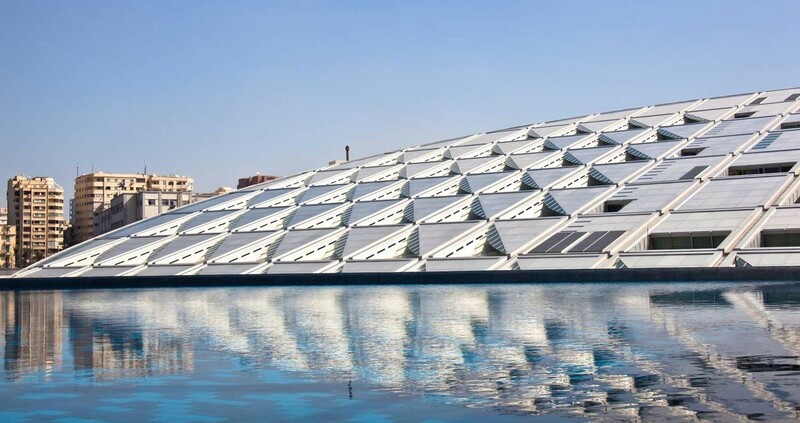 In the morning, enjoy your breakfast and we will take you from your hotel in Cairo by an Air-Conditioned car accompanied by Egyptologist tour guide to continue your second part of your Cairo and Alexandria tour package by visiting Alexandria touristic sights starting with. The Catacombs are the largest and most important burial site in Egypt that has a mixture of Roman, Hellenistic, Pharaonic, and ancient Egyptian decorative art and elements that were all common during this period in Alexandria. It's a column that stands on a rocky hilltop in the middle of Alexandria. Pompey Pillar is a triumphal monument erected around 300 AD for the Roman Emperor Diocletian. Alexandria Library is the most ancient library of classical antiquity. In it, you can find a copy of every book published all over the World. It’s not just a building, it’s a complex where all arts, philosophy, ancient history come together. Finally, transfer back to your hotel in Cairo and overnight. Morning time, enjoy the breakfast at the hotel, then prepare yourself to finish all your paper transactions with our delegate and transfer to Cairo Airport to end your 4 days Cairo and Alexandria tour package. Our delegate will meet and assist you at Cairo Airport. 3 Nights indwelling in Cairo at 5* hotel based on B.B. Private proficient Egyptologist guide during all of your tours. All your transfers will be by a private air-conditioned Vehicle. All of what you need will be presented upon arrival and departure. Entrance fees to all the gorgeous sights mentioned in the itinerary. All service charges and taxes are already paid. I’ve been to this tour with my family and we enjoyed our time very much.